Need a weekend of family fun to escape all of the hustle and bustle? Go to Ellis Home and Garden’s Polar Express Day. Explore fun and games with plenty of opportunities to enjoy the holiday season. Plus, get in those Santa photos beginning at 10 a.m. until 2 p.m. 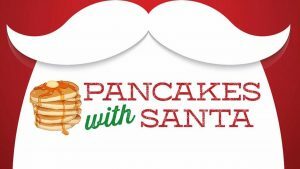 Put on some pajamas and wake up to breakfast with Santa. Eat your stack of pancakes made special for the season. Families of all ages are invited to eat and even decorate pancakes. Meet Santa and spend some time with him to share your wish list. Enjoy daily breakfast specials too for those families who love a big breakfast. Looking for local goodies this holiday season? 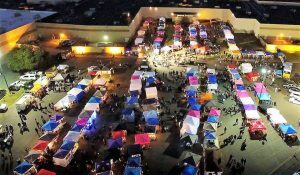 Cross everyone off your list with this two-day special Bossier City Market. Guests will have over 200 vendors to visit including items from wreaths to baked goods. Children are welcome to participate in games and enjoy plenty of holiday fun. Have questions about an artifact? Bring it to the Bossier Parish Library this month and explore history. Learn more from the Northwest Louisiana Archaeological Society about precious items that are prehistoric or historic artifacts. Even if you don’t have an artifact, this event will be a time to learn about our culture and what artifacts are found throughout Bossier Parish. What do the holidays mean without a gingerbread house? 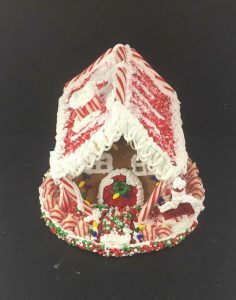 Bring your creativity and build your own gingerbread house out of treats by Cookies Cookies Cookies. Create a home for the holidays but be sure to reserve your spot. Tickets are $45 and all supplies are included. 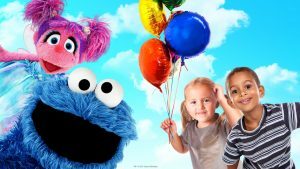 Speaking of cookies … Cookie Monster and his crew will be in Bossier City this month for a party! Visit with all your famous favorite friends and journey through their neighborhood for a unique and entertaining event. This on-stage performance is highly interactive and fun for children and families. Tickets available now. 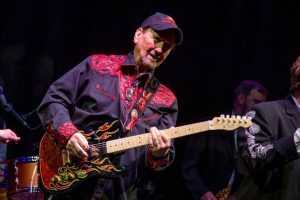 Shreveport rockstar and Hall of Famer James Burton invites his musical friends to celebrate Christmas at Margaritaville Resort Casino. Guest appearances include Grammy winning Zydeco legends Wayne Toups and Jo-El Sonnier, James’ bandmate from the TCB Band; Estelle Brown of the Sweet Inspirations, and Louisiana’s top show band, Johnny Earthquake and the Moondogs. Special hits and holiday tunes are all a part of the special performance. Plus, support a cause by attending as some proceeds will go to the James Burton International Guitar Festival, which provides guitars for students in schools and children in hospitals. Bossier is best for the New Year. 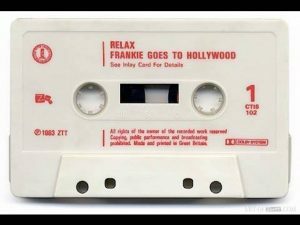 Bring in 2018 with a special 1980s-theme party at Flying Heart Brewing. Plus, a new year means a new beer is on tap. The Ramer Gentry Band will kick off the celebration at 9:30 p.m. and the Flying Heart owners have big news to share with the Bossier City community.